The key point of on-demand manufacturing is flexibility. At TEAM Rapid, our injection molding service is not only suitable for medium or large volume production but also for rapid prototype and low volume manufacturing. Depending on what quantity and when you need, we will suggest the best way to build your tool at lowest cost without compromising the quality. In traditional model of injection molding, customer owns the tooling. But TEAM Rapid takes a different approach, as part of its on-demand philosophy. “We store the tooling and offer high-quality parts to customer, the customer has all the right to the parts, the geometry and that mold.” We never discuss or even mention customer projects, parts or molds publically without their consent. In this way, it means the customer can save the tooling maintenance, storage and upkeep costs. TEAM Rapid will maintain the tool for the life of the mold. If the mold breaks, wears or need to be re-polished, we are going to repair it without any charge as long as the mold still within life guarantee. 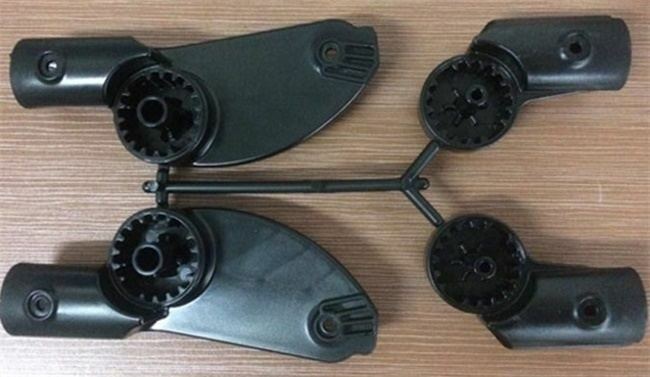 There are 2 factors that allow our Rapid Injection Molding make this possible. First, the soft tooling from steel and aluminum allows for modification easily. Second, TEAM Rapid keeps all its mold manufacturing in-house. Are you working on your next project and need rapid injection molding service? Contact our expert team at sales@teamrapidtooling.com today and get a strong support from us.